adult onset diabetes | Lawrence Broxmeyer M.D. Summary The thought that tuberculosis and its family of mycobacteria could cause diabetes seems farfetched, but is not. If this weren’t true, then why would Dr. Denise Faustman of the Massachusetts General Hospital have announced human trials with dilute cow tuberculosis (BCG) to attempt cure of type 1 juvenile diabetes, a disease historically thought by some to be caused by human tuberculosis. The first trial at Mass General, involving a handful of humans has already suggested that tuberculous BCG therapy can cure Type 1 diabetes. It’s postulated that the BCG kills the cells that are attacking the pancreas in such patients and the trials chief investigator, Faustman has gone ahead to gear up for a larger phase 2 clinical trial using the same technique. BCG or Bacille Calmette–Guérin, BCG. The only known vaccination against tuberculosis. Not formally approved in the US because of its limited benefits and possible complications. Essentially it is prepared from a strain of the attenuated (weakened) live bovine (cow) tuberculosis bacillus, Mycobacterium bovis, that has lost its virulence in humans by being specially sub-cultured (230 passages) in an artificial medium for 13 years. But instead of couching things in the vaguery of “abnormal immune cells”, what if there was simply some infection going on in these pancreatic cells that cannot be picked up by today’s commonly utilized technology. Certainly to many, with the possible exception of died-in-wool immunologists, this makes more sense. In that case, the explanation for the efficacy of BCG as a treatment for Diabetes would go like this. BCG is a mycobacteria, and in nature most strains of the mycobacteria including human and cow tuberculosis (BCG) have long been known to compete, change and destroy one another. And they do this through attack with their viral mycobacteriophage armament, which live inside all virulent strains of tuberculosis. Usually such viral mycobacteriophage is species specific, and so we would expect a mycobacterial phage to attack another mycobacteria. Were diabetes of mycobacterial origin, the explanation would follow that the ‘phages’ within the BCG itself are attacking the very tubercular strains that are infecting the insulin producing Islet cells of the pancreas. A TM4 Mycobacteriophage virus landing on and then injecting its DNA through a mycobacterial cell wall. When a virus called a bacteriophage or mycobacteriophage infects a bacteria or mycobacteria such as tuberculosis, the mycobacteria itself becomes the mycobacteriophage’s workshop, which hijacks the machinery of the mycobacteria, turning it from its usual purposes to the sole task of replicating the virus’s genetic material and protein coat. So effectively can this happen, with so many copies of the bacteriophage or mycobacteriopage being produced – that the germ hosting it can eventually, in effect, commit suicide, bursting under the pressure of phage offspring. If this happens then the multiplying bacteriophages are set free –to infect other germs, continuing the cycle. Bacteriophages (viruses which target bacteria) are injecting their DNA (upper left) into a bacteria. In return, once inside the bacteria they can go through a rapid lytic cycle in which they multiply and burst the bacteria’s cell wall (bottom left) or their DNA can join with the bacterias (in green) to form a prophage, which can later enter at any time into a lytic cycle which will also implode and kill the bacteria. If this is the case though, then why is it not being detected? As Nobel nominee Mattman never tired of emphasizing – for survival, the preferred form of the virulent mycobacteria, including tuberculosis, is its cell-wall-deficient (CWD) forms, some of which are viral themselves in size. Cell-wall-deficient mycobacteria and bacteria are also known as “L-forms”. Mattman taught and used a new method to diagnose tuberculosis in 72 hours. The conventional method took three to four weeks. Her book, Cell Wall Deficient Forms: Stealth Pathogens, Third Edition describes these techniques to spot extremely difficult to identify cell-wall-deficient (CWD) tuberculosis using methods widely used abroad, but not nearly enough in US labs. Cell-wall-deficient or “L-forms” come into being because of a breach in their cell wall, which gives them the plasticity to assume many different forms. Certainly mycobacteriophages are prevalent in the CWD forms of any mycobacteria including those of BCG. As a matter of fact, although many agents, antibiotics included, have been claimed to be behind CWD forms, according to Nelson and Pickett, who appeared in the Journal of Infectious Diseases back in 1951, it is ‘phages’ which are themselves behind CWD formation, with other factors, such as antibiotics merely being contributory causes. The peculiar relationship and frequent association of diabetes mellitus and tuberculosis has been observed for more than 2000 years, yet the reason for this is, to this day, not known. Before the discovery of insulin, a diagnosis of diabetes was a death sentence within 5 years, and the usual cause of that death was tuberculosis. And to this day, physicians in many parts of the world subscribe to the dictum that if diabetes mellitus is not controlled, look for tuberculosis; and, if tuberculosis is not controlled, look for diabetes mellitus. Despite this, in the 5th century, tuberculosis was already being portrayed as a ‘‘complication’’ of diabetes, a view little changed to this day, parroting Root’s original 1934 description of ‘‘a one-sided relationship’’: tuberculosis still seen as a common complication of diabetes, while diabetes is thought to be no more common among TB patients than in the population at large. http://www.ncbi.nlm.nih.gov/pmc/articles/PMC2441217/pdf/tacca00103-0284.pdf . To be sure, Roots paper has methodology flaws, relying at one point in his study to differentiate through a Mantoux TB skin test, those who had contracted TB (skin test positive) as opposed to those who he felt had not (skin test negative). In reality a negative TB skin test means nothing, as immunosuppressive forces inside the TB patient could be so great that the body cannot muster a positive skin test. The evidence for a tubercular cause of diabetes is mounting. Schwartz and Haas both linked Type-2 diabetes to tuberculosis. And the pancreatic islet amyloid deposits that they found as a by-product of systemic tubercular infection have recently been dissolved by rifampicin, a first line drug against tuberculosis. Engelbach spoke of ‘‘transitory’’ diabetes in TB and Karachunskii noted that patients with tuberculosis commonly wound up with insulin deficiency and persistently high blood sugars. Furthermore tubercular proteins have been shown recently not only to cause ‘‘autoimmune’’ Type-1 diabetes in NOD (non-obese diabetic) mice, but act as a vaccine to stop the inevitable diabetes that would otherwise materialize. The documentation of patient cases where TB has preceded and come before the development of diabetes is extensive yet underplayed. Both Lin and Tsai’s studies speak of tuberculosis complicated by diabetes. Diabetes has been around since the first century AD, in a perpetual state of coping and managing. It is time, it is long past time, to cure diabetes. But current models as to its cause are not equipping us to do so. Tuberculosis of the Pancreas. Considered “rare”, it’s incidence is growing, and its true incidence unknown. 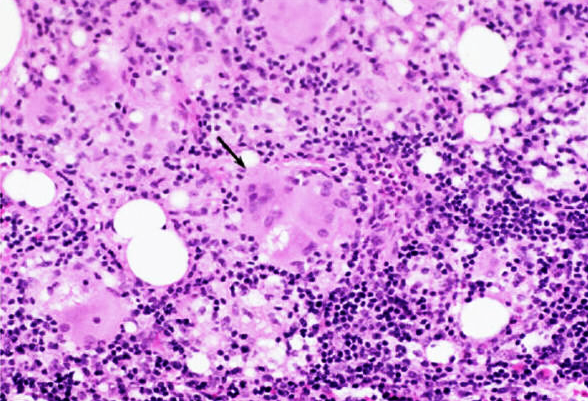 Extremely difficult to diagnose and sometimes can only be spotted by doing a PCR (Polymerase Chain Reaction) of biopsied or autopsied pancreatic tissue. In 1991, two years before The World Health Organization belatedly issued its first ever global emergency – regarding tuberculosis, a disease estimated to result in a human death every 10 seconds , a WHO ad hoc committee announced that an apparent epidemic of diabetes had occurred – or was occurring – in adult people throughout the world. The developing countries, as well as the minorities of disadvantaged communities in industrialized nations, particularly in the United States, seemed to be taking the brunt of the epidemic . CDC maps for US Diabetes and TB at the time showed, for both diseases, a predominantly Southern US distribution, with major inroads along much of the Eastern seaboard. The intimate relationship between Tuberculosis and Diabetes presented on a poster from the International Union Against Tuberculosis and Lung Disease. The open and nagging question remains, as the artwork suggests: which causes which? American Indians have some of the highest diabetes rates in the world, nearly four times greater than other Americans. In one screening study, using three geographic areas, 40–70% of American Indian adults aged 45–74 were found to have diabetes . But it is within this subgroup, that the highest levels of diabetes in the world are found, in the Pima Indians of Arizona . Bar graph of ethnic distribution of US diabetes showing the highest rate among the Pima Indians. This drew investigators worldwide to grapple with questions such as why those Pimas who chose to stay in the mountains of Mexico, away from the reservations, had incredibly lower rates of diabetes. Although Mexican Pimas have the ‘‘genes’’ for Type-2 diabetes, fewer than 1 in 15 get the disease. This argued against a genetic basis for the disease. Diabetes, however, was not the only problem facing the American Indians and the Pimas. For if Indian diabetes soared, their rate of TB was more than five times greater than that for other Americans, most American Indian children becoming tuberculin positive by the age of 10 to 15 . General Douglas MacArthur, Commander-in-Chief of the Allied Forces in the Southwest Pacific on an inspection trip met with representatives of 5 different American Indian tribes, one of which (on far left) was Sgt. Virgil Brown, a Pima Indian. The single worst disease present in European cities was tuberculosis and by 1800 it was understood that no other disease was as common, nor as deadly. Young noted that it caused one in four premature deaths in England, while major Parisian hospitals simultaneously recorded 40% of their deaths as resulting from tuberculosis. This set the backdrop for a US eastern seaboard death rate of approximately 400 per 100,000 by 1830, a reservoir with which to infect the ultra-susceptible American Indians with virulent European strains. Perhaps the most meaningful post-mortem examination of pancreatic tissue from diabetic and non-diabetic Pima Indians ever done showed that 77% of the diabetic group had amyloidosis of the islets of the pancreas compared with only 7% in non-diabetic subjects . Type 2 diabetes constitutes approximately 90% of all diabetes. And type 2 diabetes is intimately linked to the production of amyloid. A review of four autopsy studies (two in the US, one in Germany, and one in Japan) revealed an average of 70% of type-two patients have diabetic islet amyloid by light microscopy But to experts at University College in London, amyloid deposits are universally present in the pancreas in maturity onset diabetes and indeed may be related to islet failure itself. The association of amyloidosis and tuberculosis is and has been well known for some time. And that tuberculosis can produce the same type of amyloid found in the pancreas of diabetics can no longer be denied in lieu of recent studies. As a pathologist and lead researcher, Dr. Phillip Schwarz knew all about amyloid and amyloidosis. Once a Professor of General Pathology at the University of Frankfurt-am-Main in Germany, when he came to the US and when no explanation of diabetes or its amyloid cause came close to what Schwartz, in a 50 year autopsy-driven study uncovered, he published . In a report of 331 autopsied cases of amyloid, ages ranging from 16 to 87, Schwartz showed tuberculous lesions somewhere in the body in practically all of them. He speculated that most of these were from childhood infection. A remarkable 224 out of 331 diabetics had, in Schwartz’s study amyloidosis of the pancreas secondary to tuberculosis. Moreover, most of those diagnosed as diabetic prior to death showed intense islet cell amyloidosis and Schwartz hypothesized that once amyloidosis of the pancreatic islet cells from tuberculosis hit a critical mass, the result was diabetes mellitus . The Warren State Hospital were Philip Schwartz MD served as pathologist and Chief Researcher until the mid-1970′s. Thus, according to Schwartz, most cases of pancreatic amyloidosis, as well as the inflammatory infiltrate of the islet cells characteristic of Juvenile diabetes, ought to be considered an immunopathy induced by tuberculosis. Like Nichols, Schwartz noted that diabetes was easy enough to pick up with routine laboratory tests, TB was not, its main weapon being its insidious nature, often taking decades to discover, if then. Schwartz knew that there were two conceivable ways in which the pancreas could be attacked by tuberculosis: First and foremost was by its toxins and inflammatory proteins, dumped into the blood. The germ need not be present and indeed often could not be found in the pancreatic tissue of diabetics, which Schwartz knew would lead to “autoimmune” speculation. The other, much less frequent means by which tuberculosis attacked was through the direct invasion of the pancreas by tubercle bacilli, either through the blood or by direct penetration of the pancreas by nearby infected lymph nodes . But even in the few cases where microbes of tuberculosis were present in the pancreas, it could take up to 14 weeks to grow out in the laboratory , a practice not routinely followed. Knowles, by 1990, reported on the anti-TB effects from pancreatic extracts themselves and actual injections of T.B. into the pancreas only proved destructive if an enormous amount of inoculum was used. In any scenario, Chaudhry et al. concluded, a clinical diagnosis of pancreatic tuberculosis was not possible. Biopsy, autopsy or serology were the only means. To further prove the connection between tuberculosis and amyloidosis, Schwartz injected M. tuberculosis into the peritoneum of 22 guinea pigs, all of whom promptly died within 28–96 days. All but four exhibited amyloidosis. Yet only one of the control animals, not injected with tuberculosis, came down with amyloidosis. Schwartz’s guinea pig experiment was supported by Hass’s studies. , In a large series of rabbits, Hass found that three out of every four animals developed amyloidosis within 15 days of being infected with bovine (or cow) tuberculosis. Furthermore, the injection of tuberculin, a protein derivative of tuberculosis into these animals only hastened the development of such amyloidosis . Moreover, such hyperglycemia, in addition to stimulating insulin over- secretion, causes the over-secretion of pancreatic islet amylin, setting in motion the sort of destructive pancreatic islet cell amyloidosis that Schwartz regularly documented . The ultimate importance of amyloidosis of the pancreas towards the pathogenesis of age-related diabetes shows similarities between cats and man. Thus the typical diabetic cat is obese and middle-aged, and has low but detectable circulating insulin levels. However, the most striking similarity between the species is the occurrence of islet amyloidosis (IA) in nearly all diabetic cats and in over 90% of humans with Type-2 diabetes mellitus . Even before Koch discovered the causative organism of human tuberculosis in 1882, it was recognized in dogs and cats . Up to 13% of cats  harbored the disease, often unsuspected. In addition, it soon became obvious that cats were also susceptible to Avium or fowl tuberculosis [22–24]. The historical roll-call referenced by Schwartz of scientists linking amyloid in man to TB is extensive and in the past amyloid’s usual precipitating cause was acknowledged to be primarily tuberculosis . However, in recent years scientific thought has shifted towards non-infectious inflammatory diseases as the most commonly associated cause of amyloidosis. In the case of rheumatoid arthritis and Crohn’s disease, this is specious thinking, as these along with other ‘non-infectious’ conditions implied in amyloidosis have themselves been linked indirectly to infectious causes. But Schwartz, after a 50-year-based investigative study at autopsy found important omissions in those who stipulated so-called ‘‘primary’’ or non-infectious amyloidosis,  in their lack in ruling out the possible presence of active or inactive tuberculosis. Many of these investigators, said Schwartz, simply never looked for or preformed the tests that would have ruled it out. By 1994, de Beer and Nel , studying the relationship between a major rise of serum amyloid, and having tuberculosis, saw a rapid descent in amyloid levels in patients treated with anti-tubercular drugs. Tomiyama and Asano  dissolved beta-amyloid plaque with rifampin, a first line drug for TB, and one of the few agents, to this day, that is able to dissolve amyloid plaque. In 2004,Fink similarly dissolved amyloid, in vitro, with rifampin. A century ago diabetics were virtually doomed to die of tuberculosis, if not fatal diabetic ketoacidosis . Root, in reviewing the history of the association of diabetes and tuberculosis, noted that ‘‘in the latter half of the 19th century the diabetic patient appeared doomed to die of pulmonary tuberculosis if he succeeded in escaping coma’’. In 1883, Bouchardat stated ‘‘at autopsy every case of diabetes has tubercles in the lungs’’ . Apollinaire Bouchardat (1806-1886). Bouchardat was one of the outstanding diabetologists of the 19th Century, often credited as the founder of diabetology. Root presented an interesting analysis of 1121 autopsied diabetics in 1934, from which he concluded that active tuberculosis occurred two to three times more frequently than expected . But because in studies like Root’s diabetes seemed to usually precede tuberculosis, it was concluded that the 5th century notion  that diabetes comes first was valid. To Nichols , this came from a ‘‘peculiar consensus’’, which ‘‘did not seem proper’’. Even Munkner  objected to Root’s conclusions, writing that one would expect a somewhat increased number of diabetics within a group of tuberculosis patients as well. Yet it was Root’s  1934 ‘‘one-sided association’’ between TB and diabetes, that others would blindly follow to this day. Yet, Nichols insisted , it was not a question of whether diabetes developed commonly in TB patients. He knew it did. Certainly in his paper, Root’s ‘‘remarkable cases’’ often point more towards Nichol’s views of TB coming before diabetes, than they did towards his own hypothesis. Were Root and others ignoring the obvious? Not only does glucose intolerance occur in the setting of TB without diabetes, it is reversible following adequate anti-tuberculosis treatment . And lung resection of tuberculosis in patients with severe diabetes mellitus reduces the severity of their diabetes . Engelbach  spoke of ‘‘transitory’’ diabetes in some of his TB patients prior to treatment. By 1990, a landmark article appeared in the February issue of the Proceedings of The National Academy of Science. Elias and Markovits carefully laid out their case. Insulin-dependent juvenile diabetes, all along thought to be from ‘‘autoimmune’’ destruction of the insulin-producing pancreatic islet beta cells, had been shown to be caused, in mice, by a protein by-product related to Mycobacterium tuberculosis . In the study, Elias and Markovits actually saw the onset of pancreatic beta-cell destruction occur when lymphocytes (white blood cells), developed to destroy and rid the body of these tubercular proteins – also called heat shock protein 65 (HSP-65). This did not occur when HSP-70, common to all bacteria, was used. Some weeks after HSP-65 inoculation, antibodies formed not only to the HSP-64 but anti-insulin antibodies. And as all of these antibodies began to decline, overt insulin-dependent diabetes developed. The researchers also concluded that the HSP-65 manufactured by Mycobacterium tuberculosis could not only be used to induce diabetes but to serve as a vaccine against it. (Ibid) This was direct laboratory evidence that tuberculosis, through its tubercular proteins, could either cause or prevent diabetes, and it was not alone. Other studies of support appeared ,  . But the possible causative responsibility of the tuberculosis and the mycobacteria in diabetes was still being all but ignored. An old Insulin preparation by Connaught Labs. In 1995, the number of adults with diabetes mellitus was estimated to be 135 million worldwide. this number is expected to increase to 300 million by 2025. Diabetes has been around since the first century AD in a perpetual state of coping and managing, but with no cure in sight. Schwartz and Haas’s studies, linking diabetes, tuberculosis and the mycobacteria, laid the foundation for such a cure and a series of studies done only within the last decade or two further solidify that link. Nichols  stated outright that on the basis of his evaluation that diabetes, where it looked for, should be quite common in tuberculosis patients. The problem is, it never has been. Thus while mankind continues its struggle to come to grips with the cause and thereby win the war against diabetes, tuberculosis and the mycobacteria continue their silent destructive path towards causing it, unobstructed by the advance of today’s “science”. Recently, specific tuberculosis and mycobacterial proteins have been shown to directly cause insulitis, hyperglycemia and diabetes in mice thru the production of anti-insulin antibodies . No microbes are present in just the sort of situation that many would interpret as the ‘‘autoimmune’’ destruction of pancreatic islets in Type-1 diabetes. The problem is, there’s nothing ‘‘autoimmune’’ about the process other than the fact that you cannot recover the actual bacteria doing the damage against targeted pancreatic tissue. That there is nothing regarding the current theory of diabetes that is set in stone has recently come to our attention. Presently under scrutiny are the long-relished, age-based categories, only first differentiated in 1957 , insisting that the vast majority of children and teenagers had Type-1 diabetes (‘‘insulin dependent’’ or ‘‘IDDM‘‘) – a lifelong problem which occurs when cells in the pancreas fail to produce insulin, the controller of blood sugar. In contrast, experts saw Type-2 diabetes (non-insulin dependent or NIDDM) as a disease primarily of the middle-aged and elderly who no longer responded properly to insulin and have some pancreatic failure. But, the lines between these 1957 age categories are crumbling, swiftly. If, in the US, you are now diagnosed with diabetes in your late teens or early 20’s, you are more likely to have Type-2 diabetes than Type-1. Moreover, although this increasing prevalence of Type-2 diabetes in US children is mostly in minority groups, it is fast gaining a foothold in non-minority children as well [41,42]. And the same holds true in the UK where the child or adolescent need not be in a minority group to have Type-2. Although it is conceivable that a complete eradication of tuberculosis and related mycobacteria might prevent diabetes mellitus of the aging, and perhaps the young, Schwartz preferred to leave this question open to further investigations by other authors. However such studies, although they have appeared in limited numbers and are supportive, have come at what for diabetics has been a painfully slow rate. Pieters J. Entry and survival of pathogenic mycobacteria in macrophages. Microbes and Infection 2001;3:249–55. King H, Rewers M. Diabetes In adults Is now a Third World problem. Wodd Health Organization Ad Hoc Diabetes Reporting Group. Ethn Dis 1993;3(Suppl):S67–74. Lee ET, Howard BV. Diabetes and impaired glucose tolerance in three American Indian populations aged 45–74 years. Diabetes Care 1995;18(5):599–610. Bogardus C, Lillioja S. Pathogenesis of NIDDM in Pima Indians. Diabetes Care 1991;14(7):685–90. Dubos R, Dubos J. The White plauge: tuberculosis, man and society. Rutgers University Press; 1987. Rieder HL. Tuberculosis among American Indians of the contiguous United States. Public Health Rep 1989;104(6):653–7. Trafzer CE. Tuberculosis death and survival among Southern California Indians, 1922–44. Can Bull Med Hist 2001;18(1):85–107. McDougall JB. Tuberculosis: a Global study in social pathology. Edinburgh: E&S Livingstone Ltd; 1950. Daniel TM. The origins and precolonial epidemiology of tuberculosis in the Americas: can we figure them out? Int J Tuberc Lung Dis 2000;4(5):395–400. Clark A, Saad MF. Islet amyloid polypeptide in diabetic and non-diabetic Pima Indians. Diabetologia 1990;33(5):285–9. Goto Y, Seino K. Standard sugar loading test; special reference to the possibility of differentiation of two types of diabetes mellitus and of differentiation of non-diabetics from diabetics bv sugar loading test. Tohoku J Exp Med 1957;66(2):115–24. Schwartz Ph. Amyloid degeneration and tuberculosis in the aged. Gerontologia 1972;18(5–6):321–62. Stock KP, Riemann JF, Stadler W, Rosch W. Tuberculosis of the pancreas. Endoscopy 1981;13(4):178–80. Ashino J, Ohno I, Okada S. A case of disseminated tuberculosis requiring extended period for the identification of Mycobacterium tuberculosis on culture. Kekkaku 2002;77(2):73–7. Chaudhary A, Negi SS, Sacbdev AK. Go pancreatic tuberculosis: still a histopathological diagnosis. Dig Surg 2002;19(5):389–92. Hass GM, Huntington R. Amyloid 111. The properties of amyloid deposits occurring in several species under diverse conditions. Archives of Pathology 1943;35:226–41. Basoglu OK, Bacakoglu F, Cok G, Sayiner A. The oral glucose tolerance test in patients with respiratory infections. Monaldi Arch Chest Dis 1999;54(4):307–10. Karachunskii MA, Balabolkin MI. Changes in carbohydrate metabolism in patients with tuberculosis. Vestn Ross Akad Mo Nauk 1995(7):18–21. O’Brien TD. Pathogenesis of feline diabetes mellitus. Mol Cell Endocrinol 2002;197(1–2):213–9. Blaine DP. Tuberculosis in the dog, cat and bird. Vet Rec 1913;25:677. Snider WR. Tuberculosis in canine and feline populations. Am Rev of Resp Dis 1971;104(6):877–87. Hix JW, Jones TC. Avian tubercle infection in the cat. J Am Vet Med Assoc 1961;138:641. Jordan HL. Disseminated mycobacterial avium complex infection in three Siamese cats. Am Vet Med Assoc 1994;204(1):90–3. Malik R, Gabor L. Subcutaneous granuloma caused by Mycobacterium avium complex infection in a cat. Aust Vet J 1998;76(9):604–7. Wyngaarden JB, Smith L. Cecil textbook of medicine. 19th ed. Philadelphia: W.B. Saunders Company; 1992.
 de Beer FC, Nel AE. Serum amyloid A protein and C-reactive protein levels in pulmonary tuberculosis: relationship to amyloidosis. Thorax 1984;39(3):196–200. Tomiyama T, Asano S. Rifampicin prevents the aggregation and neurotoxicity of amyloid B protein in vitro. Biochem Bipohys Res Commun 1994;204(1):76–83. Schlossberg D. In: The Galaxy. Tuberculosis Praegermonographs in infectious disease, vol. 2. Praeger Scientific;1983. Younger D, Hadley WB. In: Marble A, White P, Bradley RF, Krall LP, editors. Joslin’s diabetes mellitus. 11th ed.. Philadelphia: Lea and Febiger; 1971. p. 628–31. Root HF. The association of diabetes and tuberculosis. N Eng J Med 1934;1:210. Papaspyros NS. The history of diabetes mellitus. London: Robert Stockwell Ltd; 1952. Nichols GP. Diabetes among young tuberculous patients; a review. Am Rev of Tuberculosis 1957;76(6):1016–30. Munkner T. Incidence of pulmonary tuberculosis among diabetics in the Country of Vejle in 1944–1951. Acta Tuberc Scand 1953;28:355. Voloshyn IaM. The pulmonary resection for tuberculosis in patients with severe diabetes mellitus. Klin Khir 2000;(5):30–1. Engelbach K. Transitory diabetes mellitus in two tuberculotics. Beitr Klin Tuberk Spezif Tuberkuloseforsch 1954;110(5):470–3. Elias D, Markovits D. Induction and therapy of autoimmune diabetes in the non-obese diabetic (NOD)/Lt mouse by a 65-kDa heat shock protein. Proc Natl Acad Sci 1990;87:1576–80. Martin TC, Aguas AP. A role for CD45RBlow CD38+ T cells and co stimulatory pathways of T-cell activation in protection of non-obese diabetic (NOD) mice from diabetes. Immunology 1999;96(4):600–5. Harada M, Kishiomoto Y. Prevention of overt diabetes andinsulitis in NOD mice by a single BCG vaccination. Diabetes Res Clin Pract 1990;8(2):85–9. Martins TC, Aguas AP. Mechanisms of Mycobacterium avium-induced resistance against insulin-dependent diabetes mellitus (IDDM) in non-obese diabetic (NOD) mice: role of Fas and Tb1 cells. Clin Exp Immunol 1999;115(2):248–54. Nomaguchi H, Yogi Y. Prevention of diabetes in non-obese diabetic mice by a single immunization with Mycobacterium leprae. Nihon Hansenbyo Gakkai Zasshi 2002;71(1):31–8. Fagot-Campagna A, Pettitt DJ, En’’eJQau MM, et al. Tvoe 2 diabetes ong North American children and adolescents: an epidemiologic review and a public health perspective. J Pediatr 2000;136:664–72.